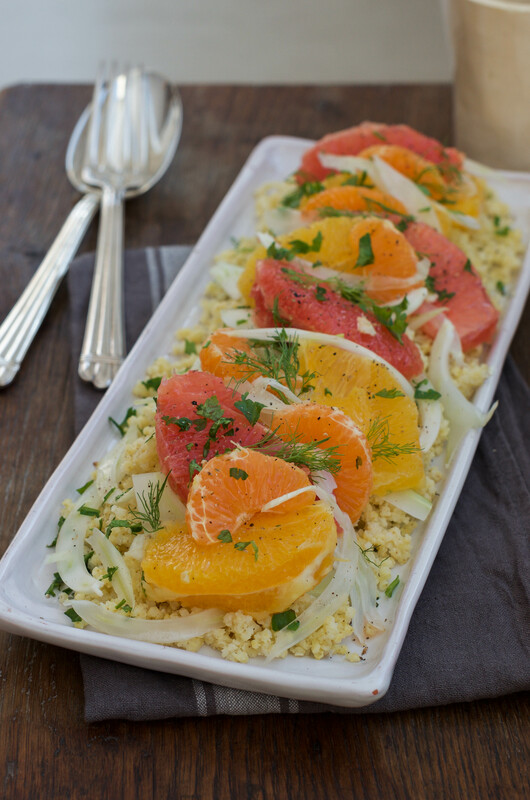 This Citrus Fennel Millet Salad is full of colors and vitamins to help you get through winter ! 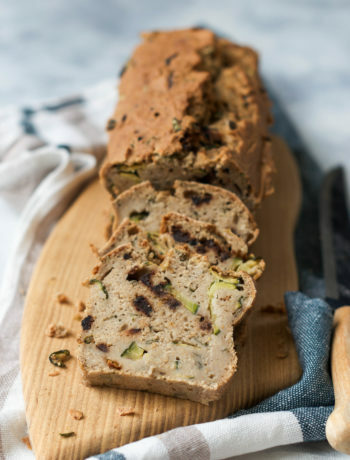 Enjoy it as a starter, a light meal or a nutritious side dish. Something I love about winter food is definitely all the citrus: oranges, clementines, grapefruits, lemons… Sweet, tangy: the different varieties of citrus actually go perfectly together ! 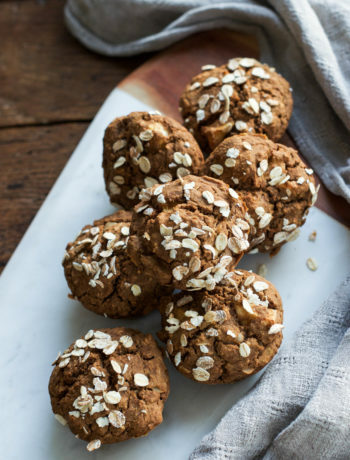 A great source of vitamin C (definitely something to consider in winter ! ), citrus fruits are also hydrating, a good source of fiber, and the list goes on. 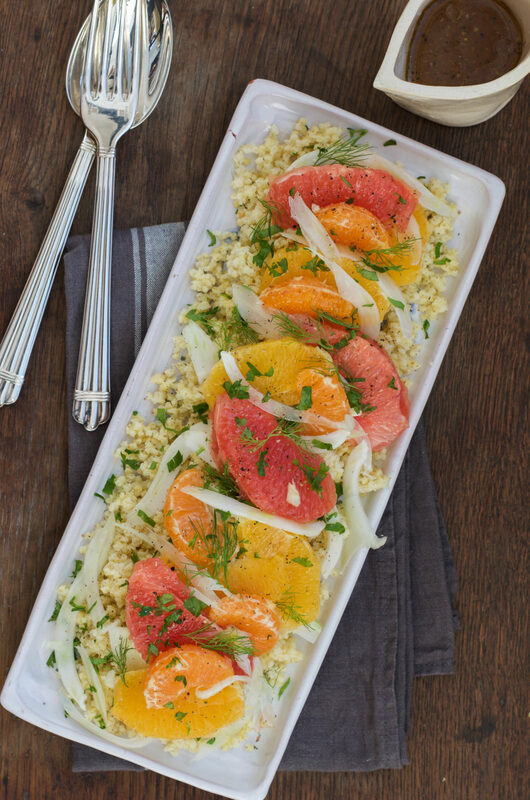 While delicious on their own, citrus fruits also make a beautiful nutritious salad paired with millet, thinly sliced raw fennel, parsley, and a lemon vinaigrette. To be honest, cooked fennel is not my favorite. If that’s also how you feel, don’t give up on fennel just yet ! Try it raw. Trust me. The taste is definitely not as strong and “licorice-y”, which is what I personally don’t like about cooked fennel. 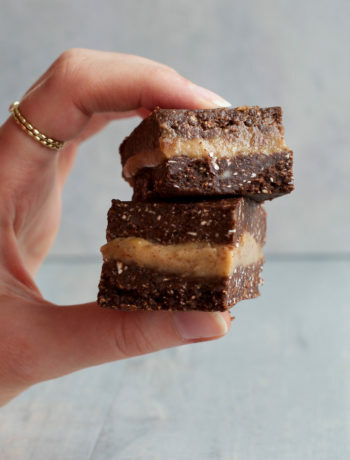 It also has a nice crunch, adding another texture to the salad. Healthy, tasty, and light, this Citrus Fennel Millet Salad is so delicious. Not to mention how pretty it is: look at these amazing colors ! While I love this salad with millet, which has a nice, sweet and nutty taste, it could also work with quinoa or bulgur. Just make sure to check the cooking time and water ratio needed. If you’re not sure how to prepare fennel, here’s a great step by step guide. Start by cooking the millet: bring 1+1/4 cup of salted water to a boil, add in the millet. Cook on low heat, covered, for 20 minutes. Let it sit for 5 minutes, covered. Then, fluff the millet with a fork and let it cool completely. Prepare the fennel*: Wash the bulb and cut the stalks. You can use the little green leaves for garnish, and the stalks for soups or vegetable broth. Use a vegetable peeler to take out any wilted of brown parts on the bulb, and discard them. Cut the bulb in half, remove and discard the core. Slice the bulb thinly, using a mandoline or a sharp knife (be careful !). Segment the oranges, the clementine and grapefruit. 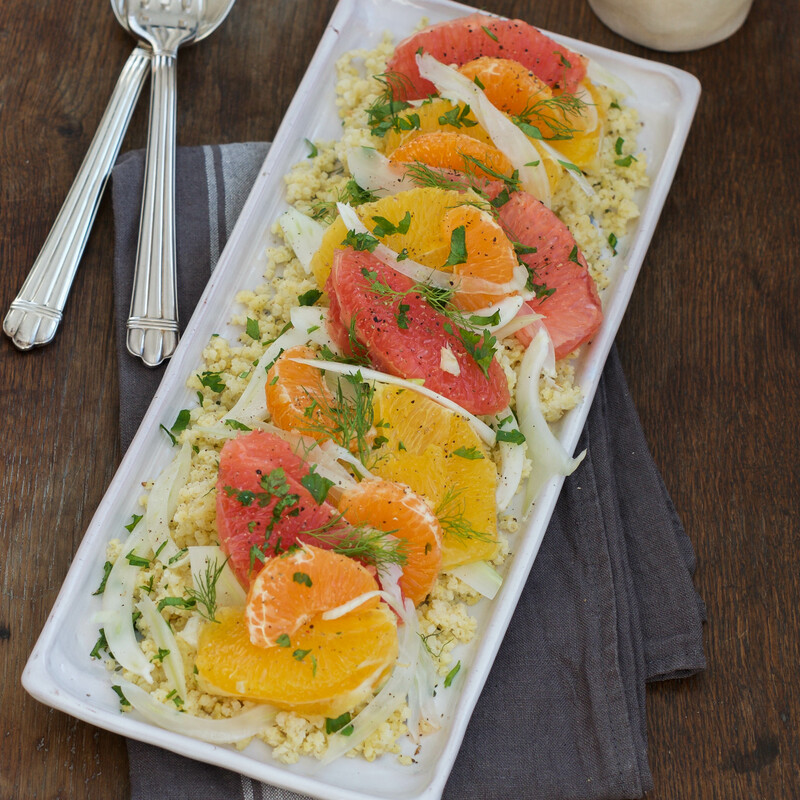 Put the sliced fennel, oranges, clementine, grapefruit and chopped parsley in a large salad bowl with the cooled millet. Add in the lemon juice, apple cider vinegar, toasted sesame oil, olive oil, salt and pepper. Gently stir everything to combine. Let the salad sit in the fridge for at least 30 minutes: it gets so much flavorful this way, and the fennel gets more tender. Serve and enjoy ! * See above for a great step by step tutorial !